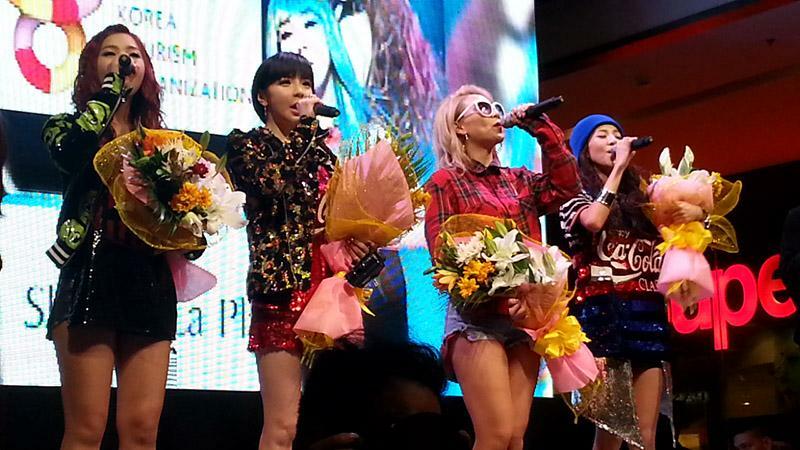 MANILA, Philippines – Filipino fans of Korean girl group 2NE1 were treated to an open press conference Friday night. 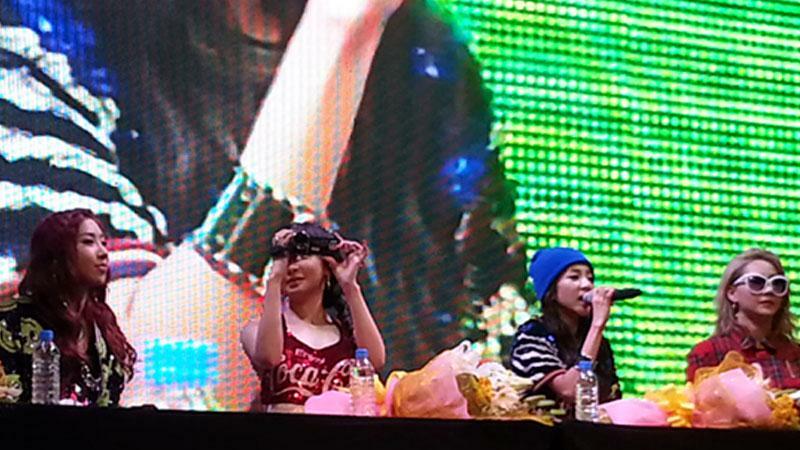 Bom, CL, Dara, and Minzy made almost an hour-long appearance at a mall in Pasig City to meet with members of the Philippine media as well as their fans who have been anticipating their arrival since morning of May 16. 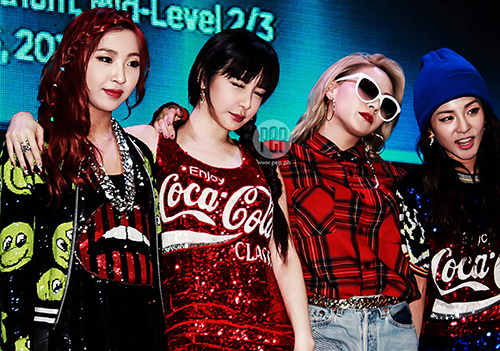 But before the girls of 2NE1 arrived at the venue of the press conference, a cover group called Sapphire entertained the crowd by performing some of 2NE1’s chart-topping songs. Also during the pre-press conference program, meet-and-greet passes and VIP tickets to the concert were given away through raffles and a dance contest. The event was hosted by the “Krimmy couple,” a moniker combining the names of real-life sweethearts blogger Kring Elenzano and Philippine-based Korean photographer Jimmy Kim. 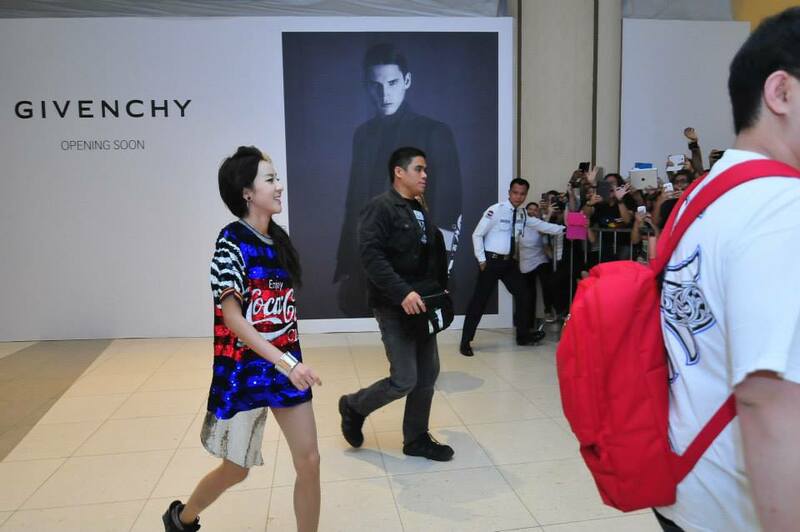 When the girls arrived, screams and nothing but screams dominated the place. 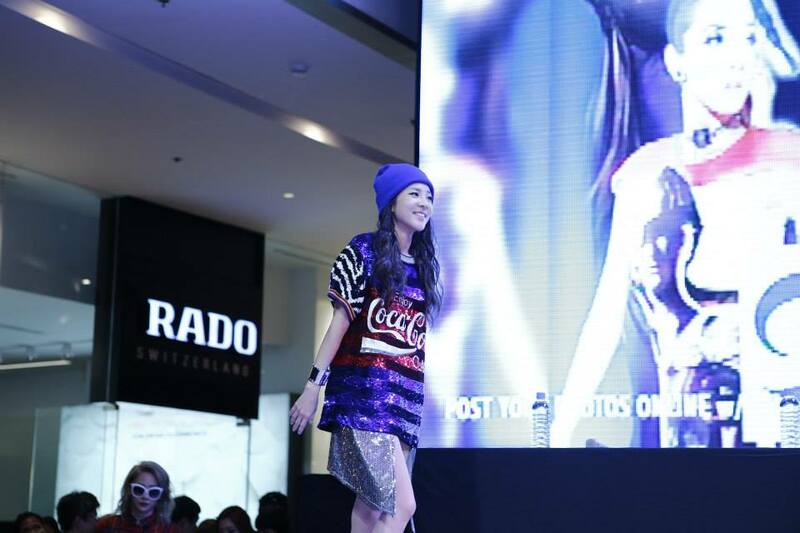 The hosts had to, from time to time, ask the crowd to keep it down so the girls would hear the media and vice versa. But keeping it down was proven difficult especially when the group finally started answering questions from the press. “I feel happy to be here. 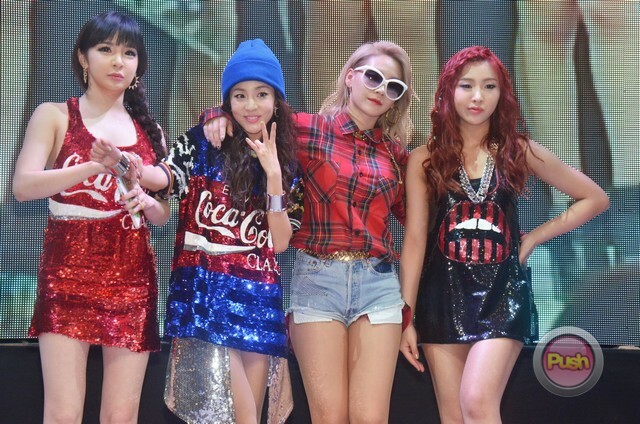 I missed you guys,” Bom told the fans when host Kring Elenzano asked how they feel about being in the Philippines again. 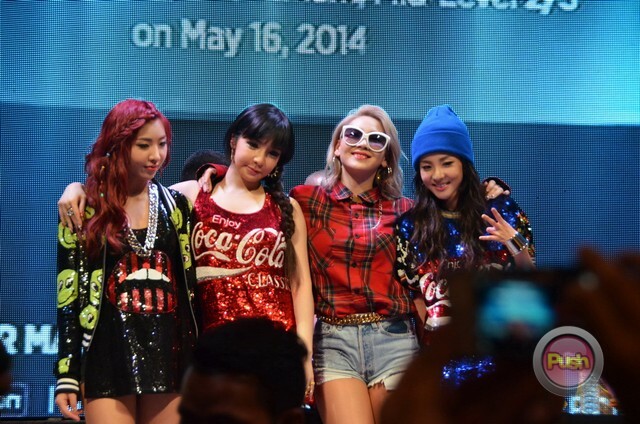 “I feel so blessed,” the group’s leader, CL, exclaimed when fans kept on cheering and chanting her name when it was her turn to speak. “Ang init ng weather (The weather’s hot). Ang init din ng pagtanggap ninyo (And your reception as well). 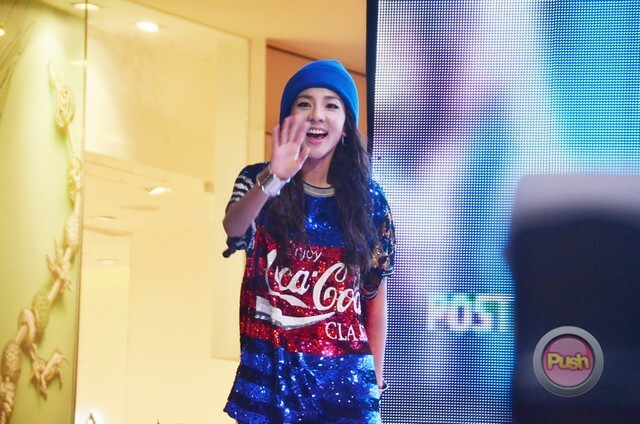 Ito ang hinintay ko talaga (This is what I’ve really been waiting for),” Dara answered, she was pertaining to being able to hold a concert in the Philippines together with the girls of 2NE1. This caused a louder roar among the crowd. 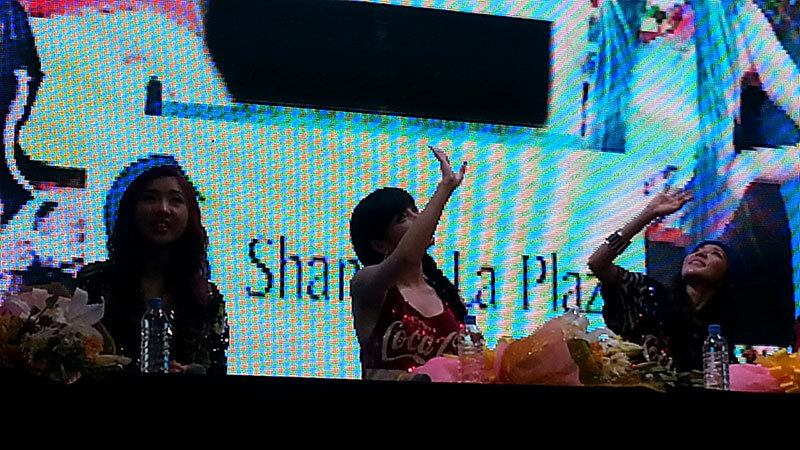 Bom kept her message short but sweet. 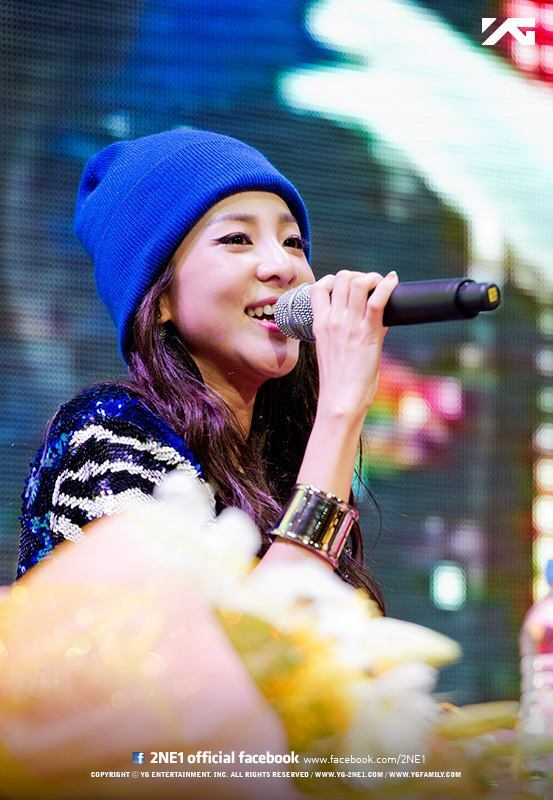 Before she took charge of the mic, she was seen whispering with Dara, and then she exclaimed “Mahal kita” twice. 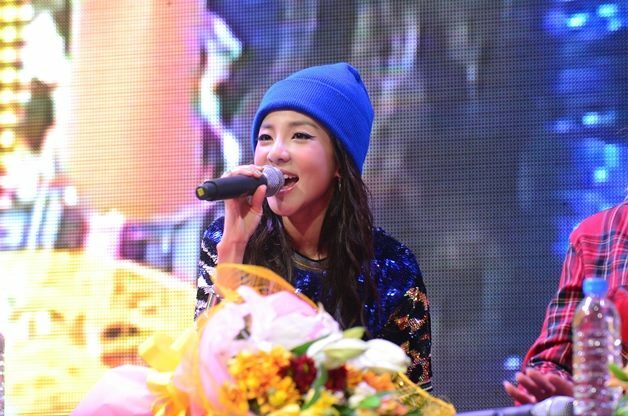 While CL said she will express her love for the fans best during their concert. “It’s unbelievable [the support from fans]. Thank you so much. I can’t put it in my words. I’ll just show you tomorrow,” she explained. 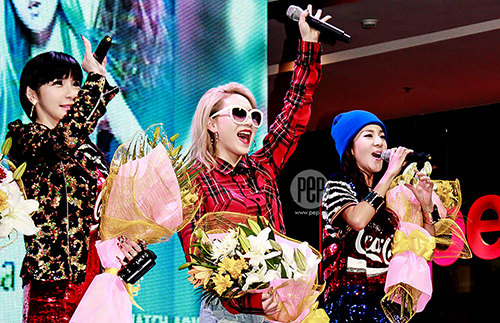 2NE1 is set to perform at the SM Mall of Asia Arena on Saturday night, May 17, for their “All Or Nothing Tour”. 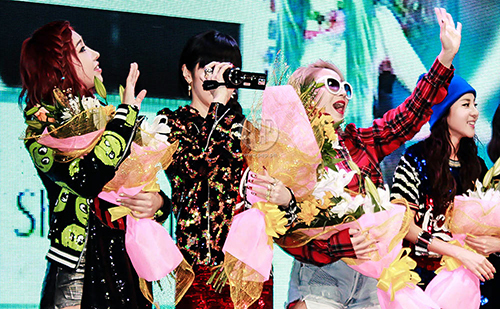 The group also celebrates their 5th anniversary since debut on the same day. Check out Philippine Star’s article after the cut!